With the publishing of Satoshi Nakamoto’s white paper, “Bitcoin: A peer-to-peer electronic cash system” (2008) based on Adam Back’s Proof-of-Work System, and the subsequent open-source software release of Bitcoin in 2009, the door to distributed ledger technology was opened. Bitcoin paved the way for new cryptographic systems to be created at will through forking or development of a new project. Today, these systems proliferate faster than one can keep up with. Some projects are interesting academically or in industry by introducing specific functionalities or capabilities, but many have little merit or are outright scams. Some cryptocurrencies are designed to be used as currencies, some as stores of value, others function more like securities. These projects, and the value, usability, and security of them, change rapidly in response to regulatory, developer, mining, or community decisions. These factors, in combination with the overall recency and complexity of crypto-assets, make cryptofinancal ecosystems prone to misunderstanding; regulators, investors, and financial institutions alike need the assistance to properly interact with this new asset class. See our previous post, Crypto Fundamentals I, to read more about crypto fundamentals. 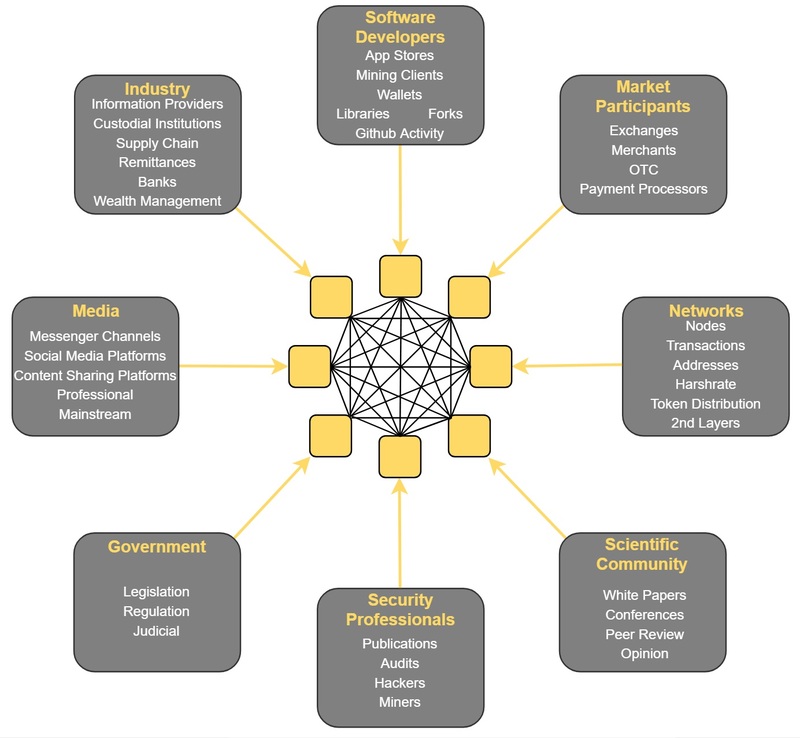 Cryptocurrency Ecosystems are highly complex; they change rapidly as new projects are developed, regulatory decisions are produced, or community decisions are made. Digital asset technologies require extensive focus on identifying and understanding their fundamentals instead of relying on traditional notions that sit at the intersection of finance and contemporary machine learning. Additionally, given the enormity of available data produced by and about cryptocurrency projects, it is near impossible to manually follow the ecosystem as a whole. To address this, Yupana will integrate data streams from a vast array of sources, taking into account their individual significance. For the cryptocurrency ecosystem these sources include market participants, security professionals, regulatory bodies, source code, mining pools, traditional and social media outlets, and fintech industry. Through merging these disjunct data sources within a comprehensive agent network, we can better understand their relations and financial implications. Yupana will be built with scale in mind to allow for continuous evolution and adaptation to these rapid changes.